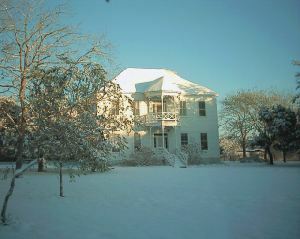 Ranchers occupying the 1804 Spanish land grant of Jose Herrera established this crossing of the Nueces and named the scattered settlement Santa Margarita. 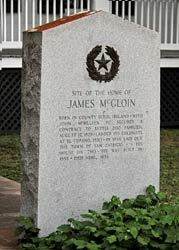 In 1828, John McMullen and James McGloin received a land grant from the Mexican government for an Irish colony north of the river and founded the town of San Patricio. This site soon became a major crossing on the Matamoros Road into Texas. To protect the crossing, the Mexican army, in 1831, established nearby Fort Lipantitlan, which was captured November 4, 1835, by insurgent Texans. On Feb. 27, 1836, Gen. Jose Urrea's Army defeated the Texan forces of James Grant and F.W. Johnson here before marching to Goliad. After Texas won independence, Gen. Vicente Filisola led the defeated Mexican troops back to Mexico along this road. After crossing the river here in summer of 1845, Gen. Zachary Taylor held his army in this region until March 1846, when he moved to the Rio Grande, the action which precipitated the U.S. War with Mexico (1846-48). During the civil war the old Matamoros Road, then called the "Cotton Road", served as a trade outlet for the confederacy. Texas products were transported via the Santa Margarita crossing to Mexico, circumventing the federal blockade of confederate ports. SAN PATRICIO, TEXAS. San Patricio was founded in 1829 by the empresarios James McGloin and John McMullen after they received permission from the Mexican government on August 16, 1828, to settle 200 Irish Catholic families in Texas. After recruiting settlers in New York, the empresarios hired the New Packet and Albion to transport the colonists to their new home. The first settlers arrived at El Cópano and Mesquite Landing in late October 1829 and made their way to the old mission at Refugio, where they remained for some time. They eventually chose a townsite where the Camino Real from Goliad to Laredo and the Atascosito Road from Louisiana crossed the Nueces River. It is not known just exactly when the settlers moved from Refugio to the Nueces River site; however, by November 18, 1830, the move was completed. The ancient fort of Lipantitlán was across the river less than two miles distant. The colonists put up temporary shelters of poles chinked with mud and grass. Since there was very little timber for log cabins, they built picket houses by digging trenches and standing small tree trunks upright in them. Roofs were made of thatch, and mud filled the cracks in the walls. Land commissioner José Antonio Saucedo arrived in October 1831 to issue land grants to eight settlers. A townsite four leagues square, called Villa de San Patricio de Hibernia in honor of Ireland's patron saint, had been laid out by surveyor William O'Docharty. In 1834 José María Balmaceda, the new land commissioner, returned to issue another seventy-six land grants. Local autonomy under Mexican rule was increased in 1834 when the municipality of San Patricio was established. William O'Docharty was named alcalde, and Thomas Adams, Francisco De León, Francisco Leal, and Patrick O'Boyle were elected aldermen. It appears that the residents of San Patricio were not caught up immediately in the revolutionary spirit that prevailed over most of Mexican Texas in 1835; however, representatives from San Patricio participated in all conventions except the first (see TEXAS REVOLUTION). With the help of men from San Patricio, Capt. Ira Westover and his men from Goliad captured Fort Lipantitlán in December 1835. In early 1836 the Matamoros expeditionqv began to move to the front, with the intention of marching on Mexico; on February 27 Gen. José Urrea surprised Col. Francis W. Johnson's men in San Patricio and killed or captured most of the unit. The Texans were buried in the Old Cemetery on the Hill at San Patricio. After the battle of San Patricio the Mexican army became an ever-present menace. San Patricio became a ghost town as the colonists fled to Victoria and other refuges, leaving their homes and livestock unprotected. Later the municipality was declared a depopulated area, and so it remained until Gen. Zachary Taylor arrived in South Texas in 1845. He stationed a dragoon of troops in San Patricio and returned a semblance of law and order to the frontier town. When the Texas Legislature demarked San Patricio County on March 17, 1836, San Patricio was designated the county seat. 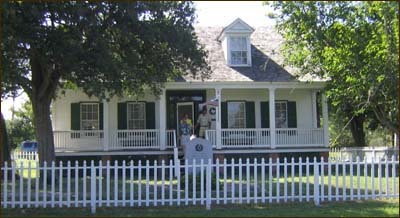 A post office was established in 1848 with C. H. John Rofs as postmaster. San Patricio was incorporated by an act of the legislature on February 7, 1853. For the next two decades the city grew, as more and more settlers arrived and farming and ranching became more profitable. The overland Cotton Road crossed the Nueces River at San Patricio, and the wagon crews stopped to buy supplies and drink in the local saloon. Outlaws preyed on the wagon trains, giving rise to tales about crews who buried their gold south of the river. 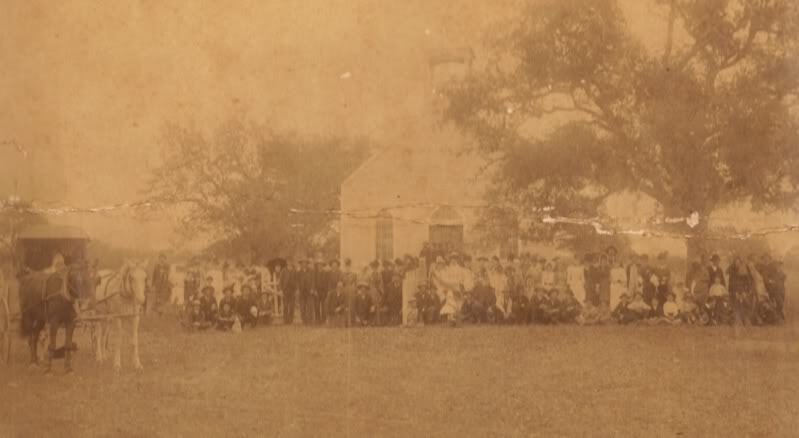 In the 1880s San Patricio had several churches, schools, cotton gins, a gristmill, and a population of 200. St. Joseph's Convent, a school for girls, and St. Paul's Academy for boys were established in 1876. By 1890 the population was 400. After Sinton became the county seat in June 1894, San Patricio began to decline. In 1901 a citizens' group persuaded the state legislature to disincorporate the city. For over seventy years San Patricio was all but forgotten, until in 1972 the city of Corpus Christi sought to annex an area on the Nueces River that would have given it jurisdiction over the old town. The citizens of San Patricio rose to the challenge and defeated the annexation attempt; they reincorporated on August 12, 1972. An awareness of the heritage of San Patricio has caused a rebirth of interest in its history. Annual world championship rattlesnake races on St. Patrick's Day have been used by the San Patricio Restoration Society as a means to raise funds to preserve the city's landmarks. Enough money was raised to rebuild the courthouse of 1872 according to original specifications; it was dedicated in 1987. In 1990 the population was 369. The population dropped to 318 in 2000. BIBLIOGRAPHY: Keith Guthrie, History of San Patricio County (Austin: Nortex, 1986). William H. Oberste, Texas Irish Empresarios and Their Colonies (Austin: Von Boeckmann-Jones, 1953; 2d ed. 1973). There once was a cowboy named Georgie Molloy. He was orphaned, then raised by the widow O'Hoy. "He's back from the Trail!" cried the lassies rejoicing. They all liked Georgie's frolicsome way. As she spied him ride into town on his bay. The brown of his skin made his blue eyes shine brighter. Then mixin' in Dodge with the good and the bad. For three months he'd thought of the haughty Johanna. He loved her in spite of her arrogant air. He'd see in the sunset Johanna's gold hair. The lanterns a-hangin' from the old live oak tree. Now the widow O'Hoy was a saint of a woman. "O Georgie," she begged, "not to the Love Ranch tonight! Me Irish blood tells me there'll be trouble a-brewin'." But he said, "Stop your frettin', there won't be a fight." Seeing her eyes full, he quickly embraced her. Your blessin' upon me before I'm away." Dressed in fine "fither" he swung onto his pony. Then here comes Pat Nealy to join in the lark. Till they reached Miller's Ferry as twilight turned dark. The fandango was on when the Irish lads entered. Georgie's arrival was something to see. By the light of the lanterns in the old live oak tree. Johanna now shunned him while she danced with another. Georgie's hot temper turned his face pale. And rued that he'd missed her on the long Kansas Trail. All danced a quadrille, but further she shunned him. At his side hung a pistol half way to his knee. Made him draw it and aim at a light in the tree. Right through the babe in a woman's right arm. That Georgie had killed, though he meant it no harm. "'Twas Georgie Molloy!" cried out the dancers. "Get him," yelled Belden. "He's got to be found." Then Marcus Love fired, and he slumped to the ground. They lifted him up all limp and bleedin'. "Lay him on the gallery!" was Nealy's command. Through the crowd pushed Johanna and hovered above him. " Georgie, dear, if you hear me, just press on my hand." "'Tis you I love, Georgie. Now ask God's forgiveness. An innocent babe is dead by your hand." Then loosen its grasp as he went from this land. And the lanterns a-hangin' from the old live oak tree. Like a widow in mourning 'cause Georgie's no more. This is the spot where once stood the Love Ranch. By the weird, misty lights in the old live oak tree.